Long ago, nature painted this land with a broad brush, and blessed it with abundant natural resources. For centuries thereafter, Native Americans lived and journeyed here, sustained by the bounty of the fields forests and rivers. 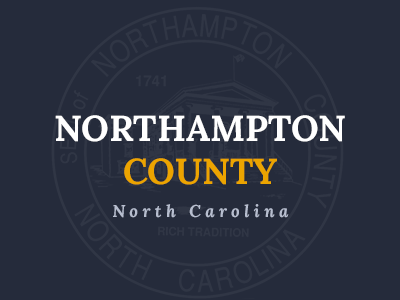 Agriculture is an important part of Northampton County Commerce. Northampton County still beckons to those in search of nature's bounty, to those seeking new opportunities in commerce, and to those searching for the peace of rural America. New Options to Pay your water bills! Public Works is now offering 2 new Options to pay your water bills. New Commissioner's Room is in the J. W. Fasion Center! Applications for: Authorities, Boards, Commissions and Committees. Don't lose those hard-earned dollars to cyber scammers.